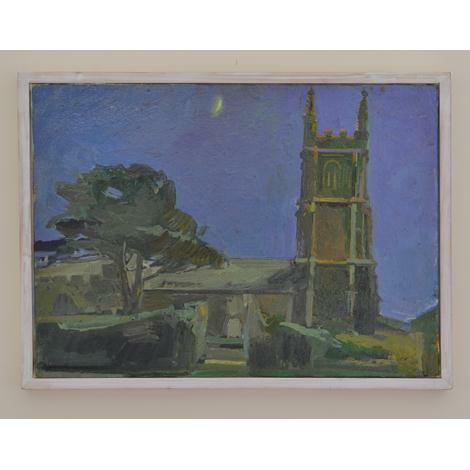 It is the close companionship of the waxing crescent moon and the tower of 15th century St. Breaca'a Church, Breage, to the west of Helston, which is at the heart of this small composition. The contemplative mood is set by the dark sapphire of the night sky. 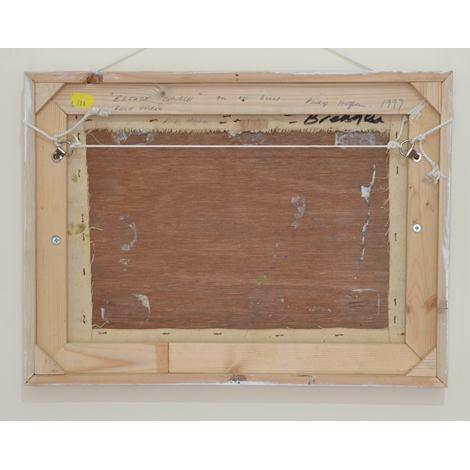 The narrow frame is the artist's, designed not to add or take anything from the quiet character of the picture.